Paul Colligan (and everyone else at The Podcast Partnership) leverages tech to increase reach. He's the author of the #1 Top Selling "How To Podcast" book Podcast Consultant, Executive Podcast Producer, and Keynote Speaker. His first book on Podcasting came out 2 years before the iPhone. He's been playing this game for awhile . 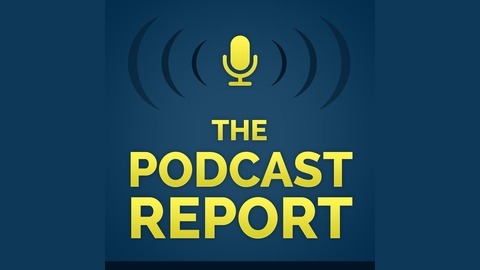 In The Podcast Report, Paul shares what's really working in the Podcasting industry and freely gives the Podcast Strategies that WORK. No hype, just facts and a way of looking at this new media for the powerful disruptor that it is. I don't have a full strategy yet for the new Apple Podcast pages, but I'm intrigued. Now that Apple has produced both individual Podcast Pages with play buttons (see the one for the Podcast Report here - https://podcasts.apple.com/us/podcast/the-podcast-report/id891941982?mt=2 ) as well as individual episode pages (see an example here - https://podcasts.apple.com/us/podcast/can-you-be-a-guest-on-my-podcast/id891941982?i=1000434558789 ), the question of "where do I send my Podcast audience isn't as clear as it used to be. 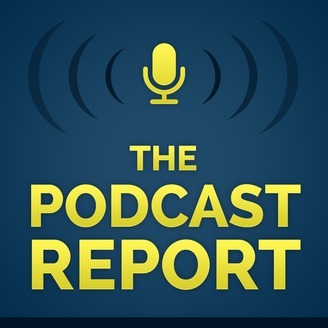 This isn't the all in one page as is offered by Podnews.net (here's there page for The Podcast Report - https://podnews.net/podcast/891941982), but it doesn't make for an interesting offering. I could send someone to my episode page knowing that if they're Apple Podcasts ready, they can click to subscribe, and if they aren't they can simply click play. What will more detailed notes look like Apple.com proper (this should test that out)? Will clicks on an Apple.com Podcast page "count" in your Apple stats numbers? Why doesn't Apple link to the Podcast Website? Why does Apple link to the individual Podcast Episode pages? Will Apple link to Video Podcasts - eventually? Will Apple offer us embeddable players for Apple Podcasts? Embeddable players for Apple Video Podcasts?